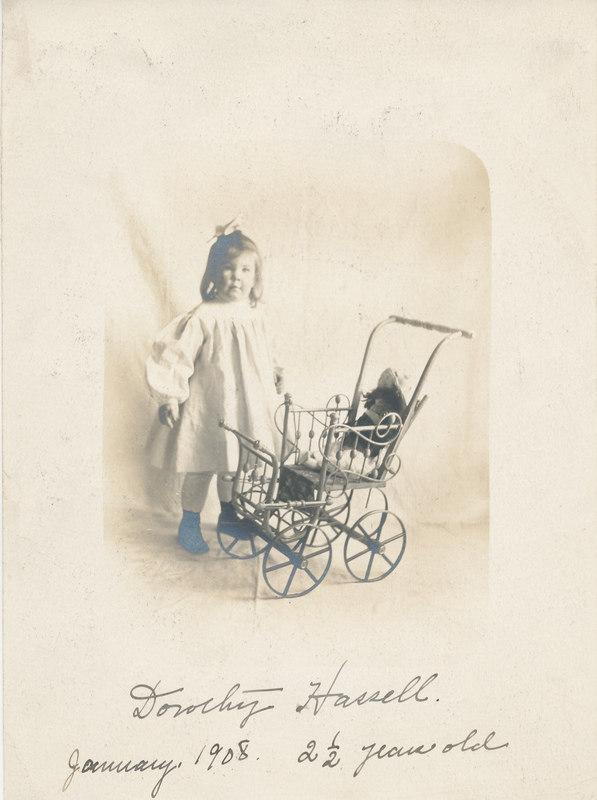 5" x 7" B/W photograph of Dorothy Hassell posed with a doll carriage. Handwritten in ink on bottom: "Dorothy Hassell. January, 1908. 2 1/2 years old. On reverse: "Aunt to Jennifer Hassell." Some fading and light damage. Unknown., “Photograph of Dorothy Hassell,” Conway Historical Society, accessed April 21, 2019, http://conwaymasshistory.org/items/show/849.